BUTEX Admission Result 2018-19 will be found on this website. 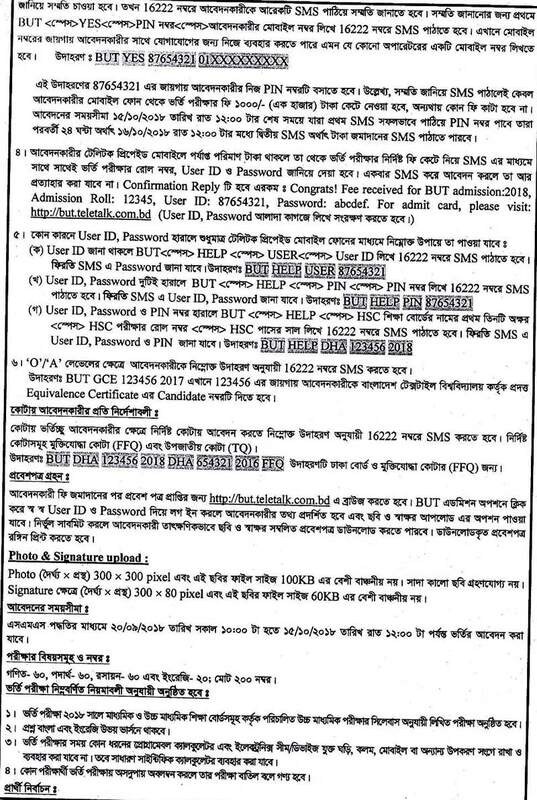 The Bangladesh University of Textiles has been published Admission session 2018-19. BUTEX admission test held on 9th November 2018. 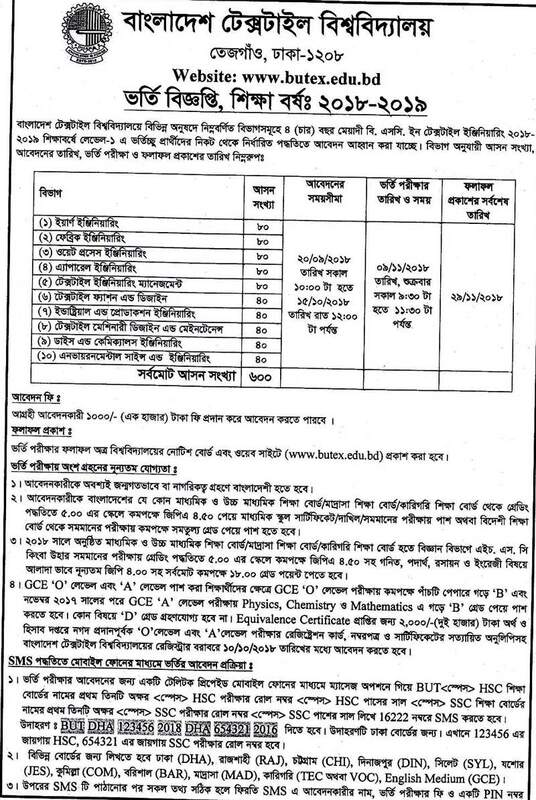 Bangladesh University of Textiles online admission processes start 20th September and continues up to 15th October 2018. BUTEX Admission test will be held on 9th November 2018. The Bangladesh University of Textiles Admission is highly competitive and needs a high academic attainment at the SSC and HSC level. Selection of the student for admission is made through admission test of 200 marks and considering GPA of SSC and HSC (Details in admission notice). Students get a chance to take admission according to merit. Timely all the public University of Bangladesh Admission Result 2018-19 update here. BUTEX Admission Result 2018-19. ■ Students passing HSC in 2018 having these eligibilities will get a chance to apply. 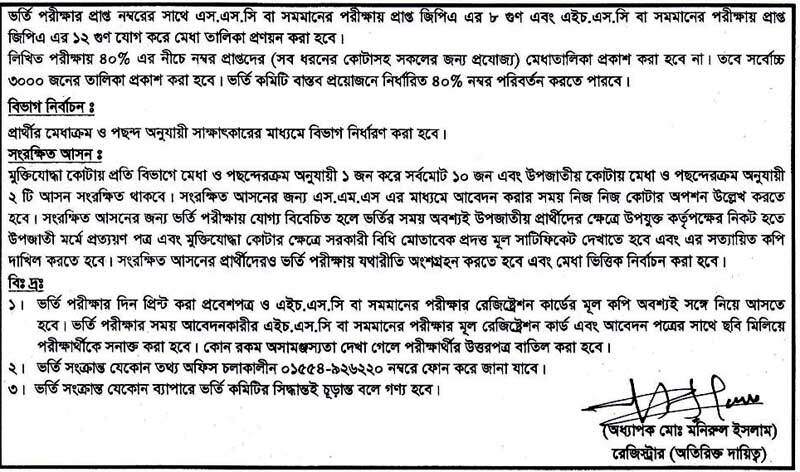 ■ Students must be Bangladeshi by birth or legal immigration. BUTEX Admission Result 2018-19 of all units will be published 29th November 2018. The Bangladesh University of Textiles already published seat plan for the admission test. BUTEX admission test total candidates are eligibility list are also found this website. The total center list is eight of Dhaka city. The Bangladesh University of Textiles is available total three faculties this course is four years duration. BUTEX Admission Result 2018-19.